Our story, journey and vision. All throughout Nath’s life, the one thing that he has strived for above all else is his own independence, no matter what it takes to achieve it. This is his story of how, through his determination, he has achieved his ambitions and founded VEUcan. “I have always believed that, despite my disability, anything’s possible with a thought, even if it’s in a slightly different way of achieving the same outcome. My parents are always very supportive of me in whatever I do and say that I can only achieve my best but I always like to go that one step further! I was born in 1992 with Cerebral Palsy which affects my speech and limbs. I started my journey when I attended a mainstream primary school in 1996 at Holy Trinity Church of England in Yeovil, Somerset. Here I stayed for seven years and created a circle of friends with whom I stay in contact with to this day. In my final year, I became a ‘Monitor’ for the school which included duties such as holding the assembly doors open, for this, I just parked my wheelchair in front of the door! In 2003, I transferred to a mainstream secondary school, Preston School, yet again in Yeovil to study for my SATS and GCSEs. 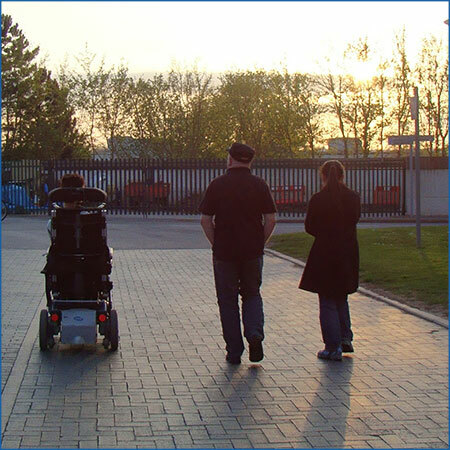 Before I came, they had no such disability access, as a result, a considerable amount of money was spent implementing ramps etc. I stayed here for five years and this was when I began to discover who I really was. Despite my primary school friends transferring with me, I began to distance myself from them and extend my social circle. To begin with, I was quite shy at meeting new people but gradually I began to build up my confidence during my teen years and as such I made some new great friends (and further!). 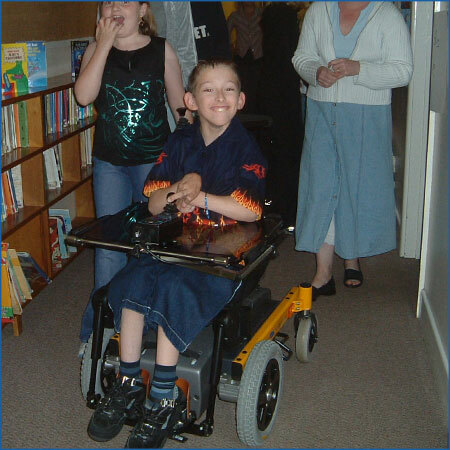 Once again, I became a ‘Prefect’ in my final year, one of my duties was to enforce the schools one – way system, this was easy for me as I could block doors with my wheelchair! For my GCSEs, I decided to study English, English Literature, Maths, Science, Business Studies, French, Geography, Religious Studies and Citizenship. Although this was a tough time due to the number of exams, I managed to achieve an A, a couple of B’s and C’s and a D.
During my secondary school life, I discovered my interest for creating websites. 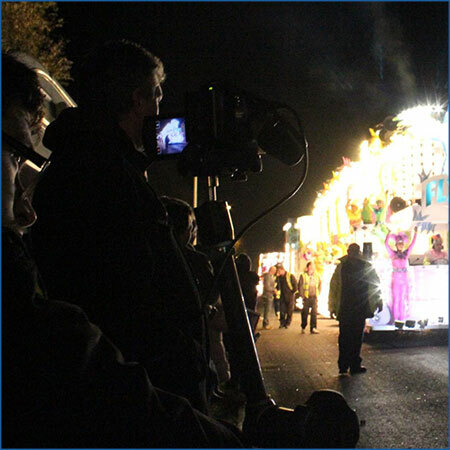 This took a step further when I decided to film a West Country Carnival at Axminster in 2005 and then posted the footage online for all to see. This website, (even though poorly designed!) became an instant success and led to filming more and more carnivals! As I became more proficient at designing websites, I realised that this could in fact be turned into a business hence in December 2007, I founded VEU Design creating websites for businesses and individuals. To this day, it has seen a turnover of over £2500. Aside from this, I also sell DVDs online of some West Country Carnivals each year. After my GCSEs in 2008, I began to build my independence up, this started with a train trip to Weymouth with my friends, this got my parents a little worried but soon they went along with it. Also, I attended sixth form at The Gryphon School, Sherborne, Dorset, to study for my A-Levels which were Business Studies, ICT and Psychology. This got off to a rocky start (something concerning a girl!) but once this had blown over, I began to make new friends and enjoy myself! Also, during this time, I was going all over the country on the train with my friends, Birmingham, Manchester and even Paris!! Towards the end of 2009, I decided that I wanted to carry on my education to university level. I imagined that moving into halls of residence would be a huge step for me (and I wasn’t wrong!!!) and would require me to have alot of independence. To help me with this, most lunchtimes, I used to take a walk into and around Sherborne and then walk back. I think by the time I finished sixth form, I had walked around most of the town! 2010 saw a whole host of changes for me in preparation for university. It started in February where I began to use the train on my own to get to sixth form (even though it was only 5 minutes down the line!!!!). Also, I decided that I needed to find a way that I could film the West Country Carnivals myself without assistance. As a result, I bought a mobile tripod that clamps onto my wheelchair along with a remote. I managed to secure a place at the University of The West of England in Bristol studying Business Enterprise. University got off to a uneasy start due to issues with a certain carer and meant that I was living with no flatmates for a few months. However, luckily I had Carnivals to keep me occupied! 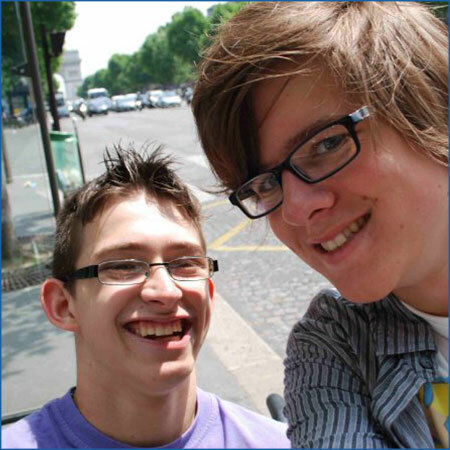 The University was very supportive during this time and I was given a better carer! Things returned to normal when I came back after Christmas when I found that I was living with a group of girls leading to the best time at of my life while discovering my passion for photography and also founding and preparing workshops for VEUcan! In late 2011, I began to share my story with others to show that, like my slogan, anything’s possible with a thought resulting in a front page article in the Bristol Evening Post! In addition, I exhibited VEUcan for the first time at a public disability exhibition in Somerset generating interest from the likes of SCOPE thus resulting in me delivering a workshop to Oxford University in February 2013. To assist at the exhibition, I enlisted the help of one of my close friends to translate which I can’t thank them enough for doing! Towards the end of the year, I went through yet another rocky stage with two certain carers, one after another! Although this had an impact upon my mental health, I still managed to achieve Firsts in my exams, don’t ask how!! If I thought 2010 was life changing, nothing could prepare me for what 2012 had in store. The year started by a short film featuring myself being produced by the University as part of their ‘UWE Student Stories‘ project in an attempt to reassure potential disabled students that it can be done! I also decided that it was time to move onwards and upwards out of UWE accommodation hence the gruelling search began for my own pad in Bristol. To coincide with this, I recruited my very own PA team rather than sourcing carers through a care agency which had caused numerous issues in the past. During this transition period, I decided to temporarily move back to my parents in their new house in Taunton and commute to the city most days, I remember thinking that I could of just set up camp on the M5 or on the train line!!! In September 2012, after losing out to several other flats, my new pad in Redland, Bristol was finally ready and my 5 strong PA team were raring to go, each working 24 hour shifts. I adapted the flat to my needs by installing an environmental control system allowing me to control the doors, curtains, lights and TV remotely via a switch on my iPad in addition to a wet room being built. 2012 was also my placement year at University which allowed me to fully focus upon my two businesses resulting in me being approached by The Farnley Academy in Leeds to deliver workshops to tie in with their PSCHEE day hence in December 2012, I delivered 4 workshops to over 100 Year 7 pupils. The feedback that I received was incredible, in particular when different groups discussed the workshop outside of the classroom and couldn’t wait for their turn! The teachers also received feedback from pupils about how ‘cool’ I was therefore spurring me on to achieve more!!! 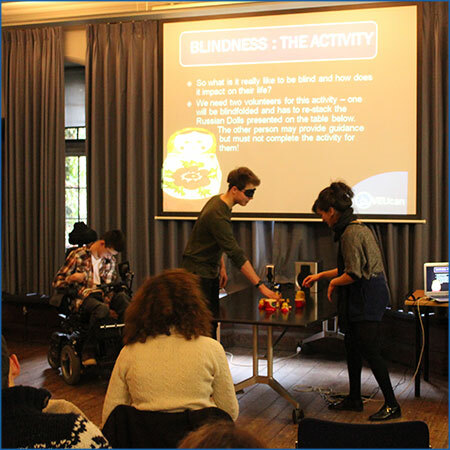 2013 began by being approached by Oxford University to deliver a workshop to a group of students starring in a theatre production for which the main character had Cerebral Palsy to maximise the effectiveness of their role. I was delighted as I could deliver student-to-student which resulted in a lot of fun being had by all! Since then, enquiries for VEUcan have almost tripled perhaps showing things to come. 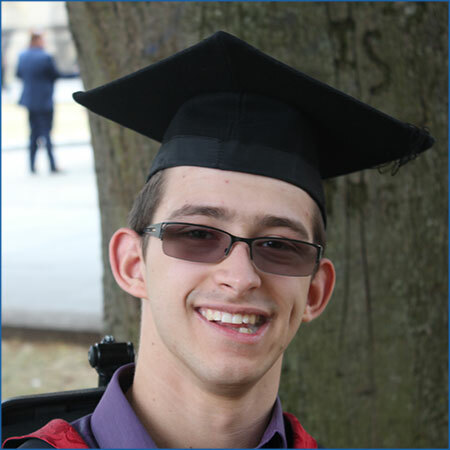 I also began a disability mentoring scheme at the University of The West of England in Bristol for which I offer advice and support to potential students to aid the transition stage and ensure that they are prepared for the best time of their life! I hope to roll this out to other universities in the future! 2014 saw me graduate from the University of The West of England with a First Class Degree which was celebrated halfway up a tower in Chicago (part of my 3 week graduation present to myself visiting America/Canada), not a bad way to finish off 4 years of hard work! To coincide with the end of my student life, I decided it was time to leave the hustle and bustle of the city centre and purchased a bungalow in the suburbs which was subsequently adapted. The added bonus of this decision is that I have Bristol Parkway station literally at the end of my road from which you can just about go anywhere in the country. 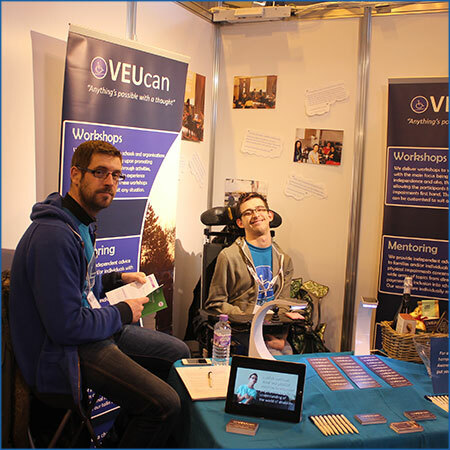 2015 was a pivotal year in VEUcans history as we began the year by exhibiting at the Education Show at the NEC. Unfortunately, the outcome did not live up to my expectations but at least it fulfilled a life long dream. Afterwards, I simply decided to allow the business to grow organically (which seems to be working thus far) whilst transforming it into a limited company. To complement this, four ‘facilitators’ were recruited (the first four employees of VEUcan) to aid me with delivering workshops and talks. In October, VEUcan was approached by Birmingham University to deliver lectures to both under and post graduates, I must say that it’s a rather strange feeling being on the other side of the podium after spending 4 years sitting and listening! December was yet another milestone for me as I began to catch flights around the country with VEUcan (Oh how I love airports especially when you have a wheelchair!) so the question is, what will 2016 hold? Well the answer to that question was…setting up yet another business (that’s 3 now!) The adventure began in January (you know the phrase, ‘new year, new start’ and all that!) though if I’m honest, it had been bubbling away in my brain since the latter part of 2015. What could I do supplement VEUcans income that doesn’t involve traversing the UK motorway network? I know, birthday parties! Yes, you read that right birthday parties, not quite what you were expecting I’m guessing? Armed with my First Class degree, I founded ‘Dynamically Awesome‘ which, as the website reads ‘challenges children aged 6 – 12 to work together as a team to complete a series of challenges whether it be conquering the giant labyrinth or building a self-supporting cube! Our aim is to nurture children about the importance of teamwork’. How on earth did I get from delivering Disability Awareness workshops and lectures to childrens birthday parties you may ask. The answer lies within what I do on a daily basis with 10 PAs, teamwork, it makes my life what it is and I would be lost without that skill but the problem is how do you develop that within a fun environment. Once all the necessary equipment was ordered (or should I say imported! ), I set about recruiting a ‘facilitator’ to lead the parties, I can remember feeling physically sick before the interviews for two reasons; one being that I had never employed someone outside my PA team and two that I hadn’t stated on the job description that I was physically disabled only that I had a ‘speech impairment’. What would the applicants think when they open that door and see me, will they take me seriously, all these questions swirling around in my head. It turns out that the facilitator that was successful actually helps out with wheelchair basketball, what’s the chances, couldn’t of asked for anyone better (They have since joined the VEUcan team too)! It only took 2 months of advertising until we received our first party booking and, of course, it had to be near Yeovil (can’t get away from that place) so another journey is just beginning. Oh and we were invited back up to Newcastle once more which meant one thing, wheelchair flying! We asked Nath to come in and talk to our Year 9 students as part of our PSHE programme looking at discrimination and prejudice. I wasn't sure how the students would react but they were really gripped by his presentation. Many of them were struck by the things they had in common - such as a liking of the Xbox - but also inspired by how much Nath has achieved despite the extra obstacles he has had to overcome. I will definitely be inviting Nath back next year.